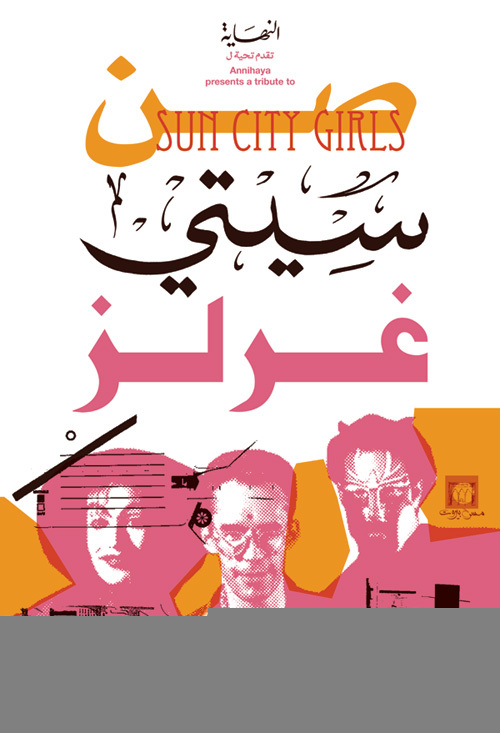 Annihaya Records presents a tribute to the legendary band Sun City Girls. The founding members Alan and Richard Bishop will be playing for two nights only for the first time in the Middle East. The brothers will play Sun City Girls songs on the first night, and solos of their individual projects Alvarius B and Sir Richard Bishop on the second night. With supporting acts by PRAED, Charbel Haber, and Raed Yassin. 1982 and the Girls went on to become what many have described as North America’s most innovative and influential underground group. In 2007, Gocher passed away at 54 years old and the Bishop brothers decided to end their 26 year run. recordings made in Egypt and Morocco by Alan Bishop in the early 1980s. The original song titles and composers of the radio-inspired arrangements are unknown. SCG created their own song titles and rearranged, at times radically, the music to fit their vision. The rest of the tracks are by various artists from the Middle East and North Africa. One track, “Wild World of Animals” is an African piece written for the theme of an American television show by the same name from the 1970s.